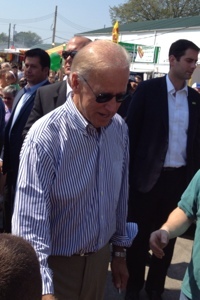 At a county fair, look who we got to meet- VP Joe Biden. Don’t support his politics, but he is 2nd command of the best nation in the world. USA! Funniest, not so funny moment was sharing pix w other kids and they didn’t know who he is. on It78&21#;s in point of fact a nice and helpful piece of info. I’m satisfied that you just shared this helpful info with us. Please stay us informed like this. Thank you for sharing.